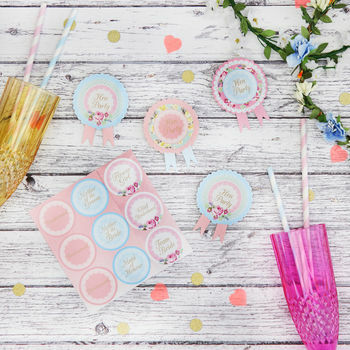 A set of 6 pretty Hen Party badges with 9 stickers provided for you to customise your badges. 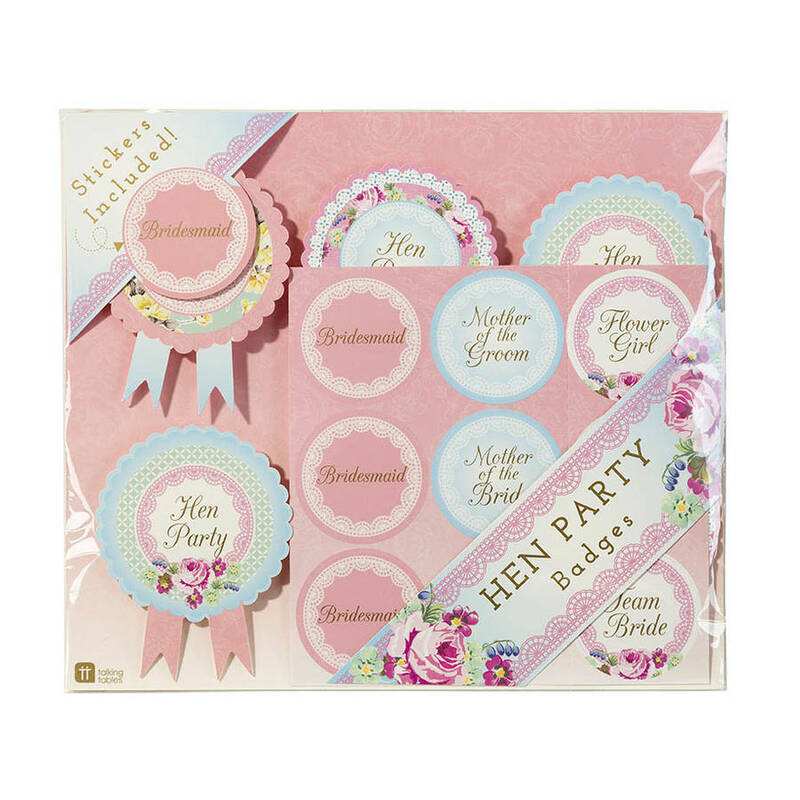 These wonderfully unique and tasteful hen party badges are the perfect accessory for any Hen Party, naughty or nice! With their pretty blue, pink and floral vintage style design and stickers these badges will make all the hens cluck for joy! 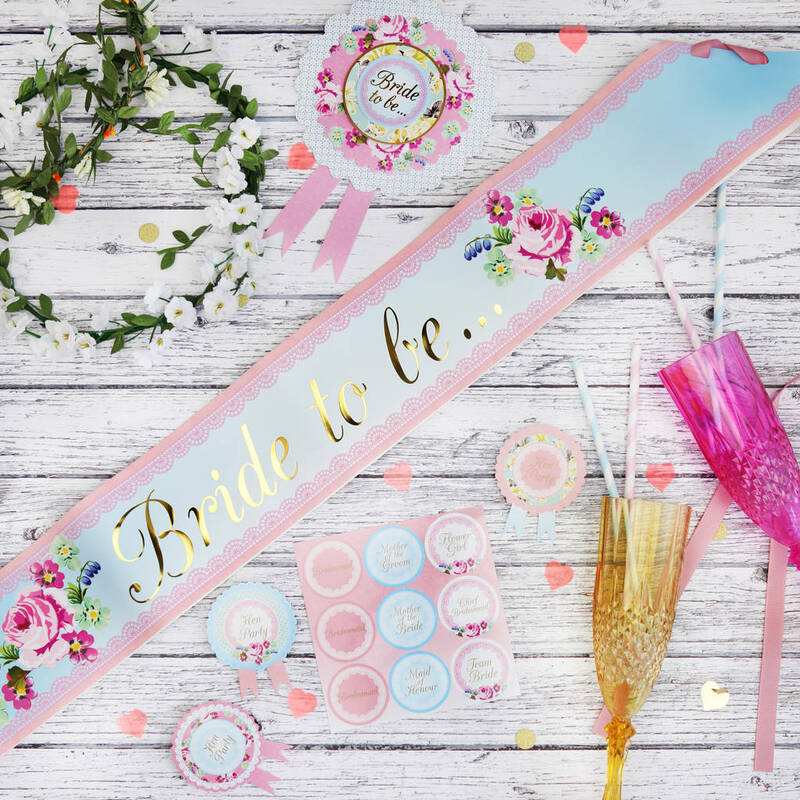 The pack contains 6 paper badges that say 'Hen Party', with 9 different stickers to personalise if wanted, including ‘Mother of the Groom’, ‘Team bride’ and ‘Brides maid’ amongst others. 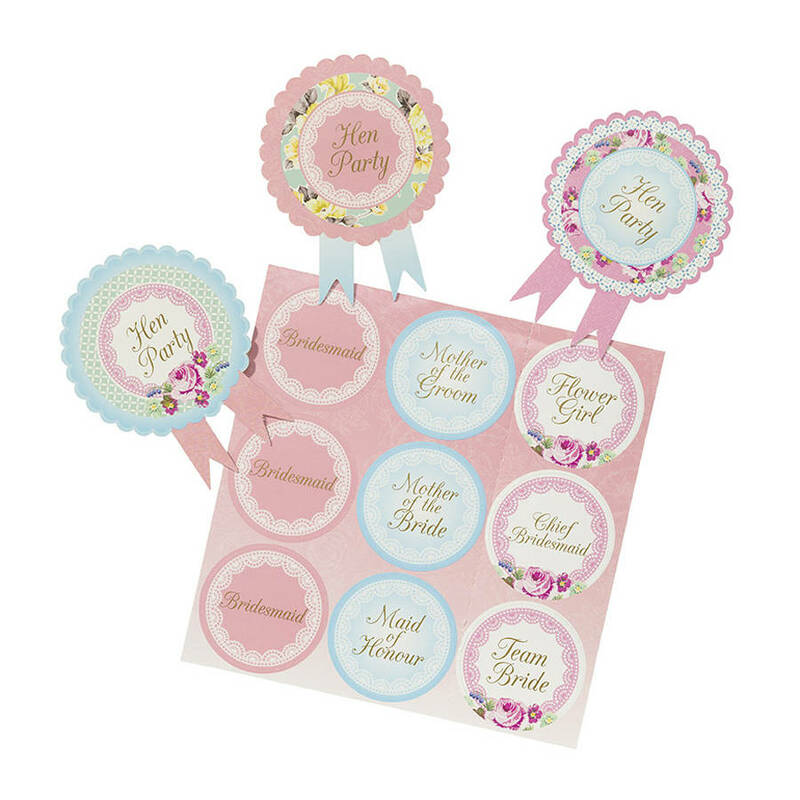 These badges work perfectly with the complimenting Bride-to-be rosette and sash.If you're lacking time, ideas or want something more personal, we can make up complete party boxes, tailored to that special someone. simply get in touch. 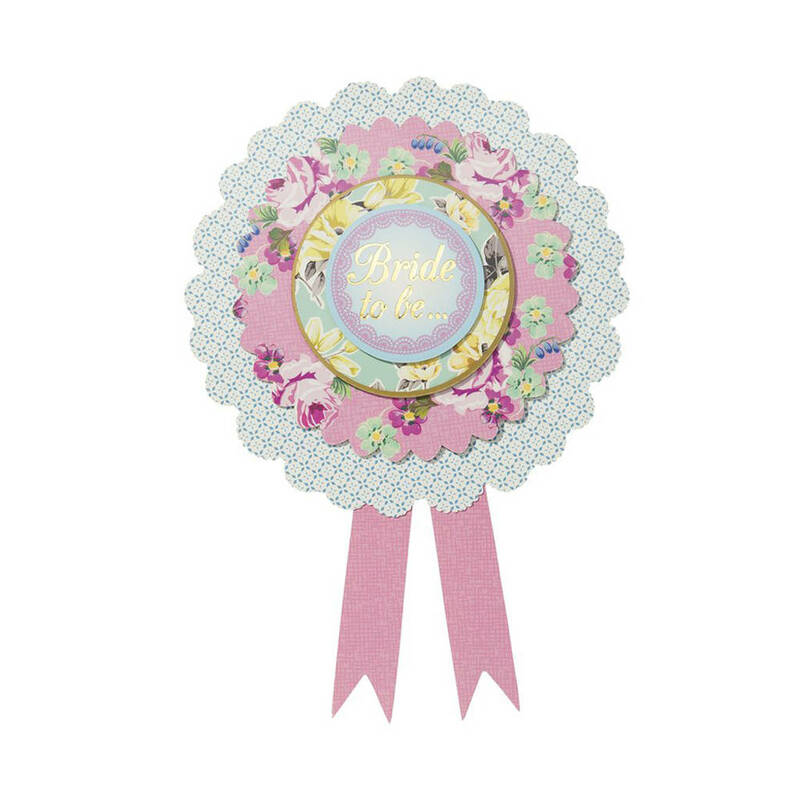 This rosette badges are made from card with a pin on the back to attach.